The biblical mission of any Body of Christians is to bring ‘the lost and perishing’ into the kingdom of God by preaching the gospel message of Jesus Christ. Since the original eleven disciples were commanded to make disciples of all nations by proclaiming the ‘gospel of the kingdom’ just what is this gospel? We learn in Gal. 1:6-9 that there can only be one gospel and that those who dare to preach anything else are accursed. In ‘these last days’ all inspiration came only come directly from Jesus Christ with his revelation to the Apostle John being his finally message, Rev. 22:18-21. Jesus Christ’s final message was given directly to the original eleven disciples and the Apostle Paul. There can be no modern day addition to the canon of the New Testament. With this in mind we are to understand that the New Testament of the Bible, inspired by the direct revelation of Jesus Christ, is our only source for understanding Christian doctrine including what is the ‘gospel of the kingdom’? The gospel message, salvation, being ‘born again’ and joining the kingdom of God are all one and the same topic. Only through the blood of Jesus Christ shed at Calvary will your sins be forgiven. Having your sins covered by the blood of Jesus Christ is not about joining any certain denomination. While having good physical health practices is good to have they are unrelated to your salvation or spiritual health, Matt. 15:10-20 & Romans 14:14-17. The Hebrew Sabbath is a day of rest that was given to the Jews to commemorate the rest they never had as slaves in Egypt, Ex. 31:13-17. ‘Sabbath keeping’ for the Jews was a holy day of rest and was not about worshiping God. Notice in John 4:7-26 where Jesus is speaking to the Samaritan woman at the well the topic was initially about where to worship, not when. Notice that Christians are now to rest in “the spirit and truth” which is about Jesus instead of a certain day. True followers of Jesus will never be tested by what day they worship him on, Col. 2:13-17 & Heb. 4:1-11. Ironically, even for the Jews, the Sabbath was never about worship. It has always been about resting. Christians do good works because their spirit has been ‘born again’ and as such they have been created to do good works. Our ‘good works’ do not add to or secure the life eternal we already have, Eph. 2:8-10 & 1 Cor. 3:5-15. Even Christians sin daily. If we say we don’t we make God out to be a liar. Therefore it is a myth to teach that the return of our Savior is conditioned upon even just a few of his saints becoming perfect in their behavior, 1 John 1:5-10. The lesson makes good biblically sound statements about how Christians are to be ‘the light of the world’. The world is perishing through sin, disease, hatred, hunger, war, natural disaster and every other form of evil with the consequences of sin and rebellion against God being the cause. Only the shed blood of Jesus Christ on the cross of Calvary addresses the root cause of all that is evil in this world. The problem about the Adventist unique ‘light to the world’ is that it is man-centered works added to what Christ completed on the Cross of Calvary not understanding that unless you are born-again of the Holy Spirit you are not able to share the light Jesus was speaking of in Matt. 5:14-16. The Adventist additions to the gospel, as outlined yesterday, make the gospel a non-gospel, Gal. 1:9. If our witness of Jesus Christ is to be of any value it must focus on the shed blood of Jesus Christ at Calvary for the complete atonement of our sins. When we accept the gospel of Jesus Christ we are indwelt by the Holy Spirit who brings our sin deadened spirit to life. At this point I would like to give my own testimony of the works of Jesus Christ in my life. My grandparents were Adventist and dedicated followers of both the word of God and the teachings of Ellen G. White. As such their own testimony was a mixture of both sources of what they believed to be God’s truth. My grandmother’s witness was of special importance to many of those who knew her because she had known ‘the prophet’ personally. When I was a six-year-old my younger brother was dying of leukemia. Grandmother saw the urgent need to share the gospel message that Jesus died for our sins and that we would forever be with him when we died. My brother died knowing he was safe in the arms of Jesus and I had joy knowing I would again see my brother. A conference official, a personal friend of my grandparents, preached a very depressing message that held no joy in this time of obvious pain and sadness. Why didn’t he know of the peace you can have even when terrible pain is part of your life because you are have the knowledge that both you and the one whose earthly body lays in the casket are secure in the Savior’s salvation? Salvation is totally a work of God and does not include the results of our own efforts. The above passage in Scripture and the teachings of Adventism cannot be both true. My witness is that there is a choice you must make. When you make the right choice you can have peace and joy even while hurting knowing nothing can separate you from the love of God. For the context of this verse be sure to read at least verses 19 through 29. When we read the context of this verse we see the disciples were in seclusion behind a locked door in fear for their safety when Jesus suddenly appears amongst them. Jesus calms their fears by greeting them with “Peace be with you”. Then he announces that he is sending them out in the same way the Father sent him. When we compare how the ministry of Jesus officially began with what he says next to them it is clear he is speaking of their being indwelt by the Holy Spirit before they can evangelize the world with the gospel message concerning his death, burial and resurrection for the ‘lost and perishing’. Concerning the work of the Holy Spirit in the life of a spiritually born again Christian there are at least two non-biblical statements in what Ted Wilson said in this Quote. The first is that Ted Wilson does not seem to understand that we are either in the kingdom of God or we are not. We are never just “closer to the kingdom of God”. When Jesus becomes our Savior we are indwelt by the Holy Spirit, ‘born gain’ as it says in Scripture, and join the kingdom of God, John 3:1-18. The message Christians have to proclaim to the world is that when you accept the gospel message of Jesus Christ and have been redeemed from the penalty of sin his gift of the indwelling Holy Spirit places you in the kingdom of God. Before that all unredeemed sinners are in the ‘domain (kingdom) of darkness’. It is never almost in or almost out of either. Speculating on “frontal lobes and the delicate nerve endings” as it relates to the working of the Holy Spirit in the life of Christians is not a documented observation of science and it certainly isn’t biblical. Instead, Romans 8:16 teaches us that the Holy Spirit ‘bears witness with our spirit’ which was dead before it was brought to life by the indwelling Holy Spirit. It should be rather obvious that all of our physical brain cells have the same life before and after we become a Christian. If Ted Wilson’s heresy were to be true it would be as if Jesus had said “you must be born with living frontal lobes and delicate nerve endings” before you can join the kingdom of God. What Jesus was simply saying to his disciples is that they would be indwelt by the Holy Spirit before they could embark upon evangelization of the world. When Jesus said “so I am sending you” it wasn’t so much about the content of why he was sending his disciples out to the world as it was the manner in which they would be empowered to do so. They would evangelize the world through the power of the Holy Spirit. In the ‘Great Commission’, Matt. 28:16-20, all authority has been given to Jesus. With this authority Jesus commands the original eleven disciples to “go into all the world” with the mission of making disciples of all nations. 2. While our so called ‘natural talents’ may be useful, qualification for the mission of evangelism has nothing with them. Rather, the gifts of the Holy Spirit under the authority of our Savior is what equips us for this mission. Oddly enough the title of today’s lesson is not really the subject addressed in the Quarterly lesson. Thousands were added daily to the kingdom of God through the preaching of the gospel empowered by the indwelling Holy Spirit, Acts chapter two. This is the reason there was such a phenomenal explosion in early church evangelism. The lesson references Rev. 14:6-12 which is known as the “three angels’ message” in Adventism. The main point that needs addressing is; what is the ‘eternal (or everlasting) gospel mentioned in verse six? The only possible answer has already been covered this week. It is all about the death, burial and resurrection of Jesus Christ at Calvary for the remission of the sin for all who would come to Jesus in faith. The Bible makes no mention of ‘Sabbath keeping’ as being a test of your faith. The Adventist health message is not part of the gospel. 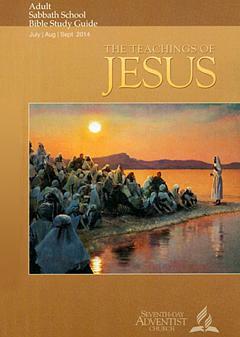 Preaching the simple biblical gospel, as asked in the lesson, is the worldwide mission of the church. So now, what is the Universal biblical Church? The church, the ‘one body’ is all those who have been indwelt and baptized by the Holy Spirit since the day of Pentecost. While Christians are to obey God through water baptism this is not what brings you into the ‘one body’ known as the church or ‘assembly’ of believers. In-other-words, the one and only requirement is that you must be born again of the Saviors gift of the indwelling Holy Spirit to become a member of the true universal church. ‘The Early Explosion’ of those joining God’s kingdom was the direct result of the working of the Holy Spirit in the lives of the original disciples. The commentary for today focuses on the content of the three lesson discussion questions. The theme of the first question has to do with preaching the gospel to all the world ‘in the context of the three angels’ messages’. Since “Sabbath keeping” and the health message which is known by Adventist as “the right-hand of the gospel” are not part of a biblically based gospel message of salvation to the world there is no context upon which to compare or combine the two together as one. In the second question the best way to improve your ‘missionary service’ would be to personally know you are eternally secure in the kingdom of God through the finished complete atonement of your sins at Calvary by Jesus Christ. Then your preaching by the infinite power of the indwelling Holy Spirit will revolutionize the world. The last question assumes misplaced priorities by focusing on the use of modern technology in spreading of the gospel. Technology of the day had nothing to do with why the gospel spread like wildfire on the day of Pentecost and it isn’t the secret of how to spread the gospel now. God, working according to his own timing and planning, works largely through born again Holy Spirit indwelt Christians. When Jesus commissioned his disciples to go into all the world it was through the power of the Holy Spirit which they were instructed to wait upon before their preaching would really began. Copyright 2014 BibleStudiesForAdventists.com. All rights reserved. Revised August 25, 2014. This website is published by Life Assurance Ministries, Camp Verde, Arizona, USA, the publisher of Proclamation! Magazine. Contact email: BibleStudiesForAdventists@gmail.com.